Silk is no longer meant for the process of Screen Printing. 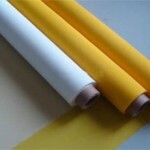 Today most of the screens are either Polyester Monofilament or else Multifilament Polyester. The better-quality the mesh, the more crisp the other details. On the other hand, this can also bound the quantity of ink that goes through if the inks particles are larger than the holes of the given mesh. If in case the ink particles are too large for your mesh, it can be the reason of your screen getting clogged. Let’s move to the special polyester woven Screen Printing Mesh which has been ruling this market since 40 years and thus, earlier replaced the conventional silk in the place of selection of fabric in the screen printers not just in this part rather all over the world. This is claimed to the most remarkable material which is most appropriate for the process of screen printing owing to its special characteristics of tensile strength the elastic memory and foremost the resistance provided different chemical effects, scrapes, temperature, heat and moisture. The polyester type is of screen is a kind of synthetic fabric which is built and fabricated very similarly as like silk and promised a better consistency and performance level. 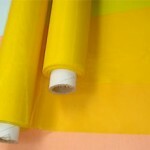 Comparing, this type of Screen Printing Mesh product to the silk to the one we manufacture with polyester cloth also refers as the bolting cloth which offers extremely long durability in a more reasonable price giving complete satisfaction in less price with superior efficiency. Polyester mesh is a well knit mesh which adopts dissimilar weaving methods by means of textile machine. Polyester screen mesh is one of the most used resources for drying and filtration in the world at the present time. Polyester mesh has high potency, corrosion resistance, high-quality abrasion resistance, and elongated life. So it is extensively used for applications in beneficiation, flour, wastewater handling, sugar cleansing, pharmaceuticals, ceramics, food mainly the fruit and vegetable juice pressing, printing, paper, in addition to coal washing industry. Amrit filtration has the most highly developed testing gadgets and technicians well qualified by experts, and mechanized procedure is under stringent quality checks. So, we provide assurance of our products having a consistent quality. With imported high superiority material, our polyester filter mesh is the most highly developed high-tech fabric products for the purpose of screen printing.